It’s official. A few days ago Major League Baseball announced new rules that will take effect Opening Day (yes that should be in capital letters because it’s a holiday!). There are a number of important rule changes going into effect in 2020. I will get into those in a later post. For now, there are four rule changes that go into effect this year. Time between frames will be reduced from 2:05 to 2:00 in local games and from 2:25 to 2:00 in national games. MLB is hoping to reduce the total length of games and keep the pace going faster. These are two entirely different but related issues. It is important to understand pace as in flow, as in momentum. You could have a 3.5 hour game with a nice flow to it and you could also have a 2.5 hour game with lots of interruptions, pitching changes and reviews. 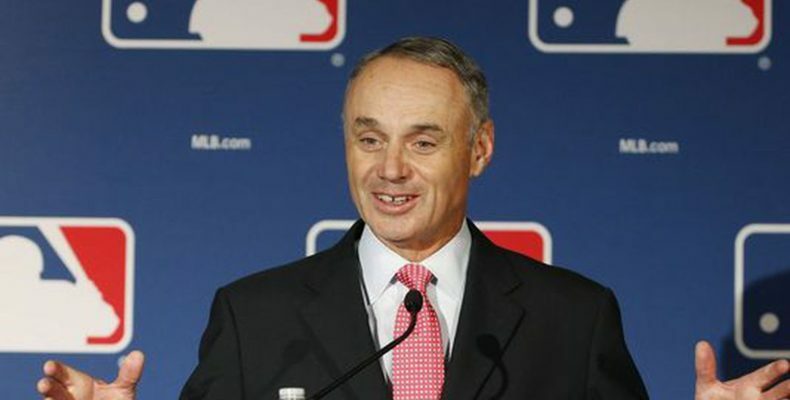 MLB wants youngsters and those smartphone-addled folks paying attention and not tuning out…. This may mean fewer commercials or commercials on a portion of the television screen during live action. This is not that uncommon in sports like hockey and soccer. As of 2019 there is only one trade deadline for transactions and it will remain July 31. MLB changed the trade deadline to one hard date. Previously MLB had two trade deadlines. The first of which was the non-waiver Trade Deadline on the 31st of July. That was the old “hot stove” deadline played up by the media. But there was indeed a second August 30th trade deadline in which players who were put on waivers could be traded if claimed by another team. MLB simplified this for many reasons. All-Star fan voting will take place over two rounds. Fans will vote for players at each position. The second round will be a final vote in late June or early July dubbed “Election Day.” MLB’s also increased total prize money for the Home Run Derby to $2.5 million. The winner will earn a nice round number: $1 million. I’m cool with this. At first glance it seems kind of crass but on the other hand, if players and fans get more involved into what has turned into a fun exhibition, What’s the harm? The maximum number of mound visits each team is allowed will be reduced to five per game. This will be henceforth known as “The Bruce Bochy Rule.” This may be the most impactful and controversial rule of the new crop for 2019. Personally, I am for it. Managers have abused pitching changes and mound visits to slow down the game and to give their pitchers more time to strategize or gather themselves and it has lengthened games and destroyed the pace of play. I am all for it. In short, I think each of these rules will make the game better. I don’t agree with many purists, with whom I share a loathing for the DH and a preference for National League ball, that the game is fine as it is and should not be tinkered with (I’m looking at you Surf Maui). There is no doubt that our culture and most of us have reduced our attention spans. There is no doubt that American culture has become more vulgar, more fast-paced and phenomena like the egomaniacalprimadonnaization of professional athletes (NBA, NFL) have reduced the concept of “Team” and “Team Spirit” to quaint nostalgic cliches. If these rules help introduce more young people to MLB then I am ok with it because they do not really affect the integrity of the game negatively. There is an old saying among Greeks: “Greece will never die.” This comes from a people who underwent 400 years of occupation, then two World Wars and a Civil War. I feel the same is true of baseball. No matter how much American culture changes, baseball is woven into the very core of its identity. The future of baseball’s success however, from a cultural and popularity standpoint, will depend on young people playing it and people discussing it. Things will have to change in cities, in African American communities, and in the popular imagination if baseball ever wants to approach its halcyon days of the 1940s-1980s. These rule changes may be a good start.